When you drag an application to the Trash, it doesn't necessarily remove all associated files. 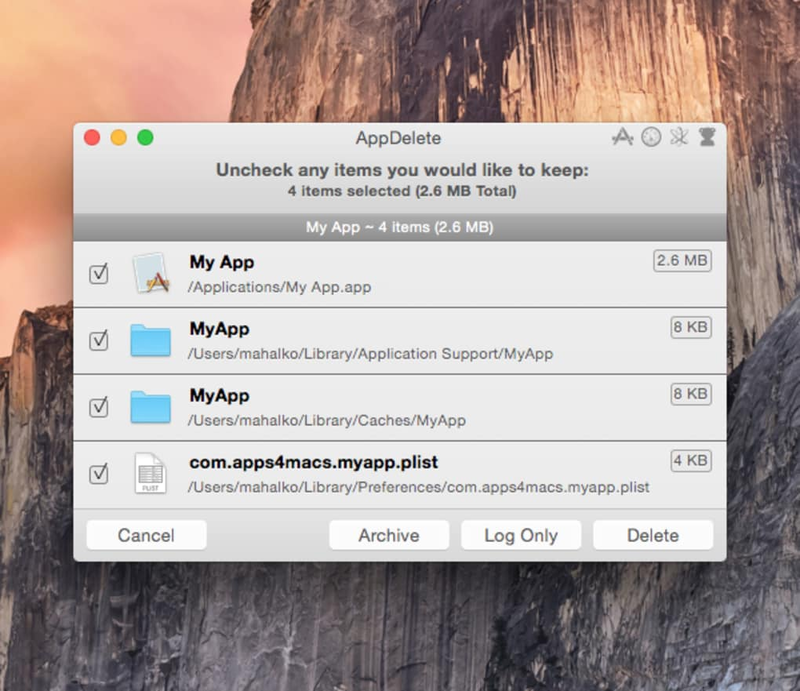 AppDelete ensures that apps are completely removed from your Mac. 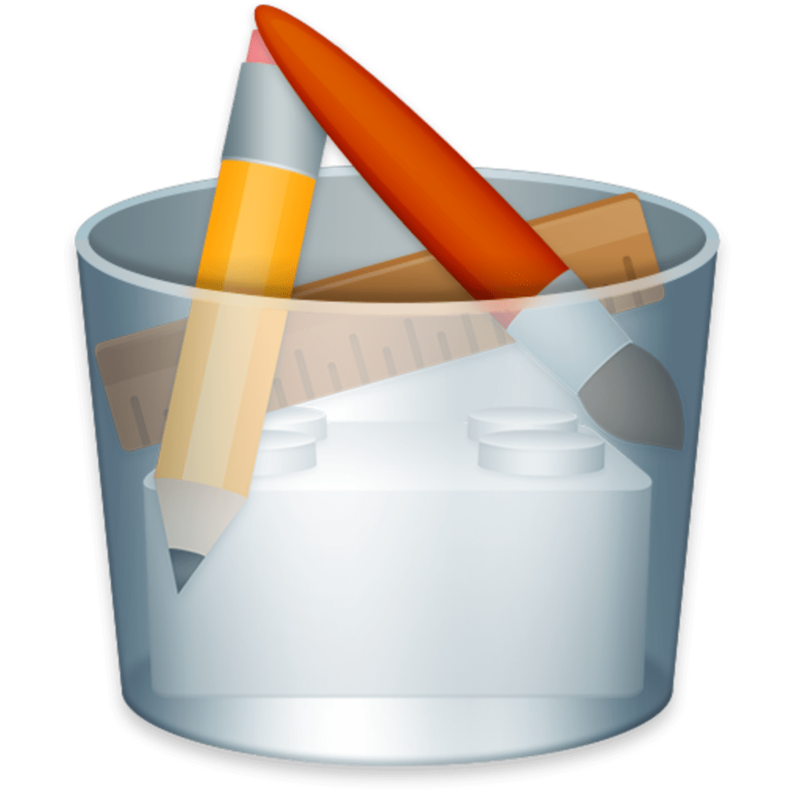 A number of developers have picked up on the issue of incomplete app removals (it's odd that Apple hasn't) and created applications that will fully delete all files associate with a program. AppDelete is such an app and a very good one at that too. Once AppDelete is installed, all you need to do is drag the program you want to remove onto its icon. Alternatively, you can selects Apps in the top right corner and AppDelete will reveal a list of Applications installed on your system. The search is very quick and takes just a few seconds. Immediately, AppDelete will reveal the associated files that need deleting with the applications. These are normally receipts and library preference files. You can uncheck the ones you want to keep in the AppDelete window or remove them all. AppDelete also lets you keep a log of what you are removing. Its a good idea to save this file as you can use it for future reference in case of system problems and it turns out you've accidentally deleted an important file. There is an Undo feature in AppDelete too but it seems this only rolls back the last change that you made, not successive ones before that. My favorite feature in AppDelete was Orphans. Orphans searches for files that are not associated with any applications anymore and have probably been left behind. I discovered a huge number of files using this that AppCleaner had obviously left behind. The only criticism I have is that there is no way to Select All which, if you're dealing with hundreds of files left behind, takes a long time to select them all. Cleaning though takes a matter of seconds. Note that this trial is limited to a few uses after which you have to pay to upgrade to the full version. However, even if you don't choose to use it regularly, its very useful for removing orphan files as this can be done within the trial limit. Many users also report the developer is extremely helpful and responsive in case of problems. 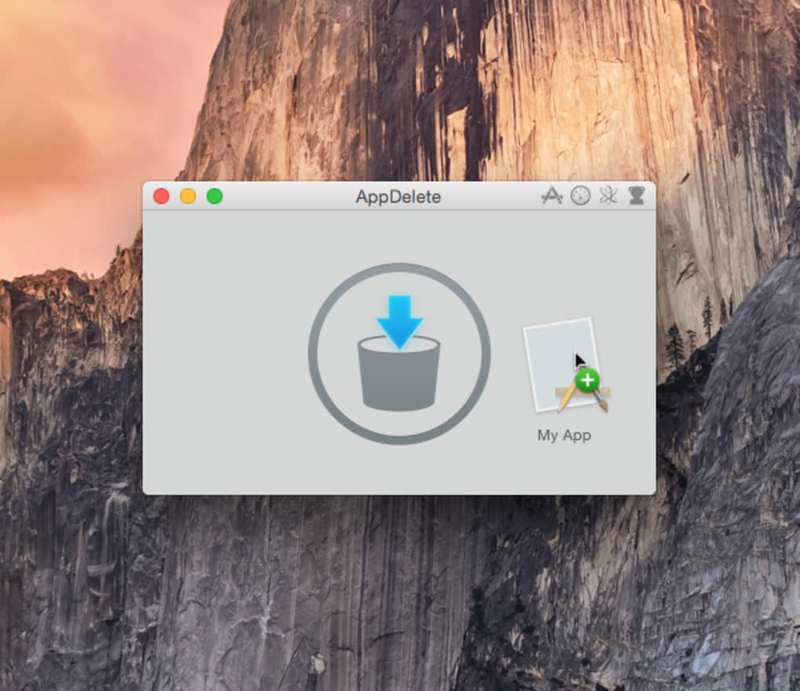 AppDelete does a great job of removing files left behind when applications uninstall but beware that you may experience some problems with it when you restart your Mac. Fixed issue where Quit when Closing preference might not work as expected. Fixed issue where Registration Panel might disappear not allowing the user to register. Waste of money will not delete my files that i purchased this app for.. I have deleted the same files over and again. It hasn't removed one of the things that I purchased this app for. Don't waste your time. The ease of use - if it actually worked. it is not a complete tool. I've used App Delete for a few years, through three machines. The program is 'okay.' Not great. I have attempted to remove many programs, and 20% of the time I get an error message saying I must delete an app that is supported.. So I just something else. It's convenient, but not great. Geez, I gotta stay up and fix stuff. This is why I left the Microserf Windows world. It removed stuff. It installed easy and I guess is stable. Does mean it didn't delete iTunes. UPDATE REVIEW: with version 3.2, all my concerns were fixed!. Can't beat the support for this app, as the developer responds immediately if you have a problem, or suggestion. Small, lightweight, easy to use. What do you think about AppDelete? Do you recommend it? Why?